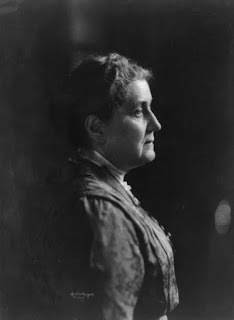 The REAL Jane Addams - accept no substitutes. It seems that some people who work in child welfare can’t even get past their prejudices to the point where they can read what is written right under their noses in a news story. What does this say about how they make decisions on the job? Odd that the article failed to mentioned [sic] that every removal needed to be sanctioned by the Juvenile Court. Readers believing that child welfare staff can remove children with no accountability or oversight. No child remains in foster care more than 3 days in NYS without a family court judge making a ruling on the placement. This is a simple fact, one that the NYTimes could easily have explained. I wonder why they did not. Either police officers or agency workers can take a child from a home if they find imminent risk; agency workers must file a petition in family court by the next court date, at which time they must justify the removal at a hearing. The story went on to explain that in some cases the judges did indeed rule that the city’s Administration for Children’s Services (ACS) was wrong and sent the children home. But, as the story also explained, by then the children already had suffered greatly as a result of the needless trauma of foster care. In New York, and every other state, child protective services workers and/or law enforcement can remove children in an “emergency” entirely on their own authority. In these cases, the courts only get involved after the fact. And who decides if it’s an emergency? The CPS workers and law enforcement. So in point of fact, when it comes to the initial removal there is no accountability or oversight. As for what happens afterwards, New York City actually is better than most of the country, where the court hearings often are a sham and the judges are more likely to wield rubber-stamps than gavels. This is why I warned about buying into the “judges have to approve everything” line in an article for a journalism review nearly 20 years ago. Things have improved significantly in New York City since then, but, as I said, not in most of the rest of the country. There are more details in our Due Process Agenda. ● Some commenters complained that the Times reporters failed to discuss the role of the fathers in the cases they wrote about. Except they did. Perhaps the commenters were unable to read those parts because the fathers failed to conform to the commenters’ cherished stereotypes. But in New York, that’s not true either. Under New York State law, ACS can comment in many situations, including cases in which a parent already has told her or his side of the story. Here's the law. The story did not explicitly mention the New York law, but the commenters simply jumped to a conclusion that comforted them: that ACS couldn’t comment when, in fact, it wouldn’t comment. As for states which do have laws requiring the agency to keep silent, that’s because agencies want it that way so they can hide behind those laws when they screw up. Any child welfare agency director who really doesn’t like such a law would have no trouble persuading the state legislature to change it. But what is most concerning here is that Jane works in a child welfare system, and Andrew might work there as well. That means they may be making life-and-death decisions for families that are often of a different race and a different class from themselves. If people such as Jane and Andrew can’t even get past their preconceived notions to the point where they can read what is written right under their noses in a news story, what does this say about how they make decisions on the job? Oh, and by the way: In 1889, The real Jane Addams founded Hull House, which today is widely viewed by historians as America’s first family preservation program. Yes, she had a dark side – like many who considered themselves progressives at the time, she supported eugenics. But she also spoke out against removing children from their parents because they are poor.